Want tips on how to share books with your children or your classroom? Read great creative ideas from our experts! We have a selection of articles by experts on all sorts of topics related to reading for example how to get you children interested in different genres and how to inspire creative writing. What topic do you need advice on? Search for a topic and answer. I’m a governor at a large primary school, in an area of high deprivation. We are trying to improve the quality (not quantity) of reading at home that children do with parents/carers – specifically Y5 boys who are poor readers. Have you seen any good leaflets/videos that we could use to support parents learning new tools/techniques/games etc to make reading more fun, engaging, check comprehension, extend vocabulary, learn grammar etc? 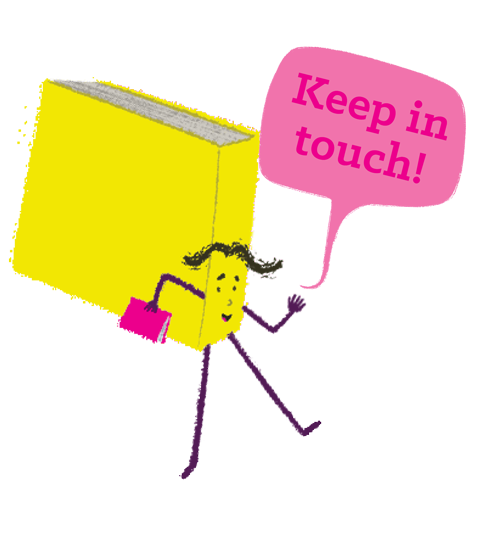 We’ve tried offering sessions for parents/carers to come in and see teachers/teaching assistants reading with children, but had no takers! I’m in the enviable position of having had 18 kindles donated to the library. This has allowed us to run a successful Carnegie shadowing group and I’m now looking at other strategies to get the most out of our Kindles. Do you have any ideas? I am a teacher, keen to invite more authors to visit our school. What can I do to make these visits as successful as possible? I’m a single parent (Dad) of a 14-year-old girl. She’s a capable reader but says that she finds it hard to choose what to read, so I was wondering if you could suggest some titles I could try with her? I’m an English teacher in a secondary school looking to run some work with our feeder primary schools during the summer term. We want to use some books to encourage the Yr6’s to read in this last term and over the summer holidays. Can you help? I’m a librarian in a secondary school looking to set up a new teen book group. Can you suggest some titles that you think would work well? My 8 year old twins love reading, but how can I encourage them to vary their book choices? My 15-year-old son used to be an avid reader when he was younger, but since secondary school has completely turned off from reading. Are there any books or things that I can do to engage him into reading again? I teach in Reception and want to make early work on numbers more interesting. Any ideas? I’ve recently become a grandad and I love it. I’m not good at books and didn’t read much to my children but want to get involved this time. I’m making Liam a bookshelf and want to make a start at filling it, can you suggest some books please?